To ensure that you have a lush, green lawn it is essential that you perform regular maintenance procedures such as scarification. 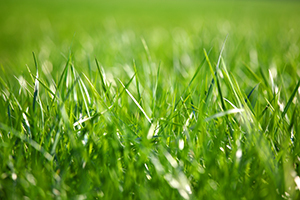 This is a procedure that is recommended annually and can help to ensure that your grass grows strong and healthy as well as lowering the chances of pests and disease across your lawn. It is important that you scarify your lawn at the correct time of year and under the right conditions, otherwise you can cause more damage and leave it looking a little worse for wear! Scarification is the method of which dead moss or thatch is removed from a lawn either with a rake or a lawn scarify machine. It cuts through the soil at the same time and helps to aerate the soil which can make it healthier, remove weeds and allow for more water to pass through the grass and permeate into the ground as well as reducing the compaction that occurs during the summer months. Go over it with a mixture of sharp sand and good soil, being sure to fill any holes. 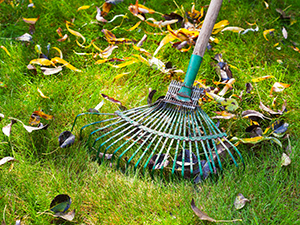 If you need a new lawn, prepare for it to be laid now - autumn is the ideal time. Alternatives include a meadow lawn with wild flowers. It is important to make sure that you only perform this task under the right conditions or you can cause more harm than good. After you have scarified your lawn, it will need to recover, so ensuring that the grass has plenty of warmth, sun and rain will ensure that it has everything it needs to start to grow back healthy and strong. Cold, excessive heat and drought will not do, so avoid scarifying your lawn if these conditions are on the horizon. Light scarifying can be performed in spring; we recommend April as it is usually warm enough by then and the morning frosts have subsided enough. Heavier scarification should be done in autumn. As scarification makes your lawn an ideal seed bed, if you perform this action when weed seeds are peaking, you will initially be sowing yourself a weed problem in the months ahead. By waiting till autumn (August-September) you will avoid the bulk of the years weeds and minimise their growth. What do I do to prepare my lawn for scarification? •	Weed your lawn! 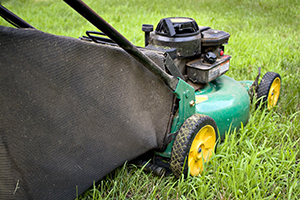 Remove as many weeds as you can at least a week before you scarify. Scarifying can help to keep creeping weeds at bay, however it never hurts to spray a little weed killer about as well!